In a world of infinite amount of choices, nobody has the time to manually visit each news source. Just look at yourself. Do you have the time to manually go to each site you care about? The closed off paywall doesn't work, we all know that. It's a concept build on business models from the past combined with restrictive technology of the present. The paywall completely ignores everything the internet is about. The Times of London managed to lose most of its audience and Mckinsey Quarterly has thrown in the towel and taken down their paywall. The paywall is a failure. What isn't a failure is the need to monetize content. For the past 15 years, the internet has been on artificial life support, paid for by the "real world." Newspapers have paid for the internet via their print industries and most blogs are paid for via people's "real jobs." Some sites have been able to sell enough advertising to make a living, but they are few and far between. All that is changing. The print industry is going away, and the internet is moving into its second phase. The internet now has to stand on its own. It is no longer a viable strategy to give away the internet for free. You have to turn digital publishing into a real business. Not something you do besides print (for newspapers or magazine), or something you do after work (for independent publishers). It is time to get real. So, how do you create a paywall that works? It has to embrace what the internet is about - creating connections. You have to separate your content from your destinations. You have to embrace the new market of abundance. And finally, you need to set the right price. You need to create a paygate. You cannot compare the internet to any other form of media, because it isn't a medium at all. 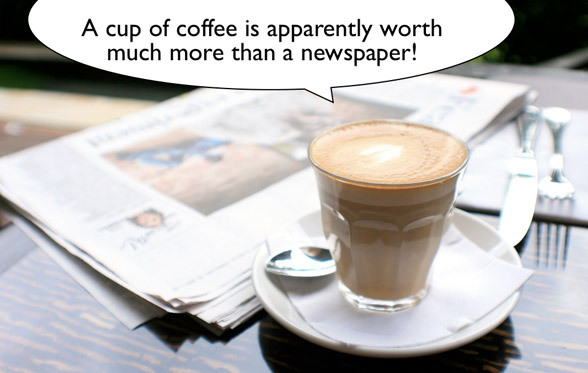 Newspapers, magazines, and books are products that you sell, and then deliver to people. TV is a product that where you buy access to channels, which you then watch. But the internet isn't anything like that. The internet is a platform that connects people. It is not a product, nor a channel. It is a connection. If you want to do business on the internet, you have to embrace this connection. It doesn't matter if you create stunning content, hire the right people, or create amazing iPad apps. The connection is the fuel that powers the internet. Without it, you are not going anywhere. Sharing is a way for people to link to an article, email it to friends, tweet it, or quote it on their tumbler blog etc. Sharing isn't something new to the publishing industry. It has been a fundamental element for thousands of years. Even traditional media is shared, and most publishers rely on it to grow. Every traditional newspaper operates with two numbers. One is the number issues printed and delivered. The other is the total amount of readers. The total number of readers is usually 3-4 times higher than the number of printed issues. Sharing is a fact of life; it's not a special thing that only happens on the internet. The difference is that in the traditional world, distribution is how content is delivered, and sharing is how it grows. On the internet "sharing" is taking care of both the delivery and the growth. Everything is about sharing online. How does sharing tie into the paygate? Simply put, you need to enable your paid-for content to be fully sharable. Just like in the traditional world, content must be free to anyone it is shared with. You have to be a subscriber to get access to paid-for content. But once you have access, you can share it just like any other content - via any service, with anyone. I'm not talking about sharing a link to a site, where non-subscribers then have to register for the full content. I am talking about real *full* sharing. The kind of sharing we have in the traditional world. Some people would say, "but then other people can read it for free!" Yes, they can. 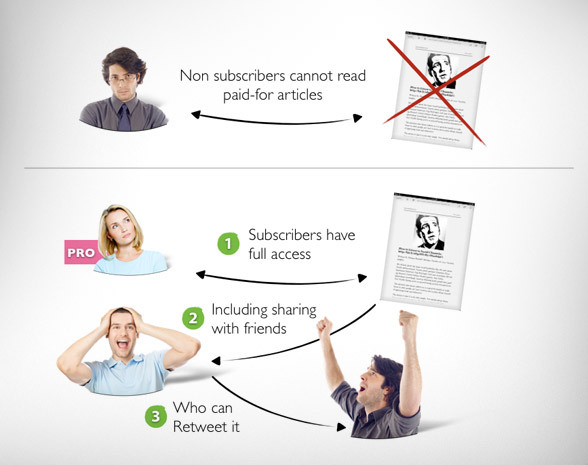 If a subscriber shares an article, then all her friends can read it without paying, registering, or subscribing. This is not a problem. It is a huge opportunity. Sharing is the single most effective form of marketing in the world - and it doesn't cost you anything. If it weren't for sharing, you would have to pay for advertising in order to attract new readers. To put this into perspective. On this site, 85% of my traffic is coming in via different forms of sharing. 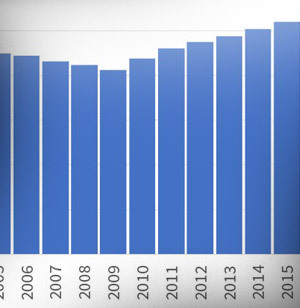 If I wanted to get the same level of traffic, by buying advertising via pay-per-click on Facebook or Google Adwords, I would need an advertising budget of $225,000 per month! Sharing is your friend. It is not a problem. You can even extend sharing by adding a bit social context to it. When a subscriber shares an article, add the subscriber's name, and Twitter handle to the post. This is a good way to add a social connection between the subscriber and their friends. And it gives you a great place to add a call-to-action, to remind people that they should become subscribers as well. Embracing the connection also means that you need to make your content available where people are. The internet is not about content on a web site or in an iPad app. You cannot restrict people to a destination. Today we consume content by following brands and publications, and the content is made a part of our streams. It started with RSS feeds, and although RSS never reached the mainstream audience, it is the same concept that we now see on all the social channels. 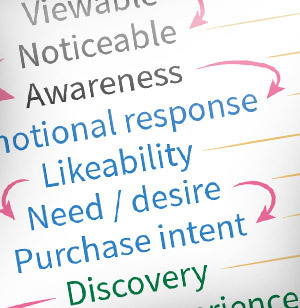 This has a profound effect on how you reach and maintain contact with your audience. The front page of your publication is no longer the front page of your website. It's your stream on Twitter, Facebook, on many different forms of automatic and personal news aggregators, via email, and via several other ways to "follow" a brand. When researching the paygate concept, which is the basis for Baekdal Plus (my upcoming paid-for plan), I asked a several people what was critical for them. All of them responded that they did not have the time to go out and look for content. Content had to come to them via email or other ways to subscribe. Email and social channels are by far the most important ones, followed by news readers, and mobile devices (including tablets like the iPad). But, it is not just about the channels you create, it is also about being part of people's personal channels. Two examples of content everywhere. 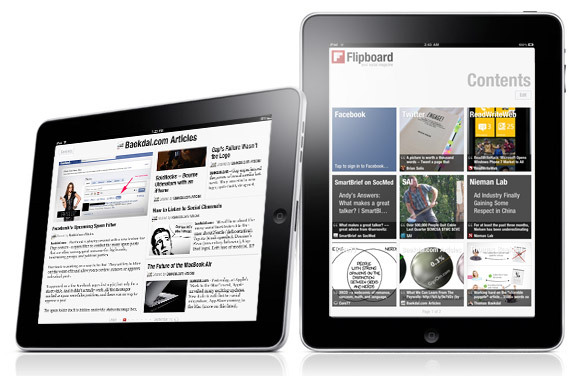 Flipboard is still a new and relatively small service, but it really shows where we are headed. In a number of years, everyone will be using a personal news aggregator. It is the only efficient way to keep up-to-date with the news that matter to you as an individual. You need to make your content available to services and tools like this. Since Flipboard is tied into Twitter, all you need to do is to create a Twitter account just for your articles. 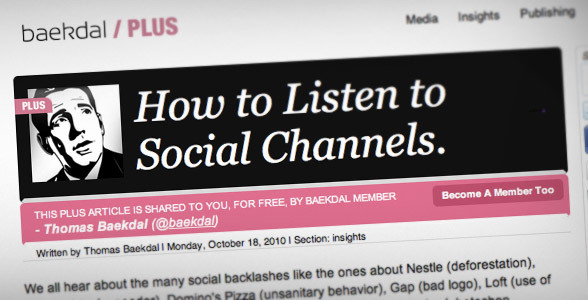 If you want to make baekdal.com part of your Flipboard, all you need to do is either follow @baekdalarticles on Twitter, or simple add "baekdalarticles" as a section within the app. That's it. It can be done completely automatic. Your content is now on the iPad and part of people's personal streams. 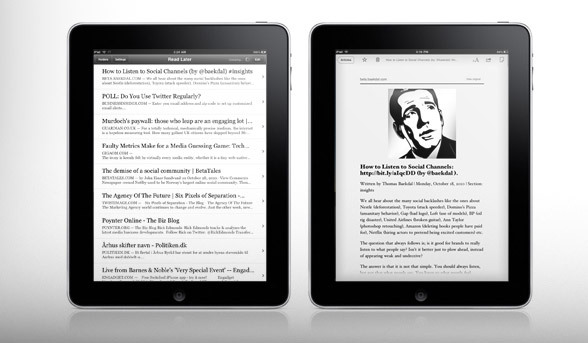 Another example is Instapaper, a free service that allows you to read content when it best suits you, on whatever device you happen to be using at the time. The paywall not only blocks non-subscribers; it also blocks Instapaper from working. It blocks your own subscribers from reading your content at their convenience. That's not good. Here is how an article from GigaOm Pro (of which I am a subscriber) looks when saved to Instapaper. It is completely useless. You need to ensure that your subscribers can read your content on their terms. 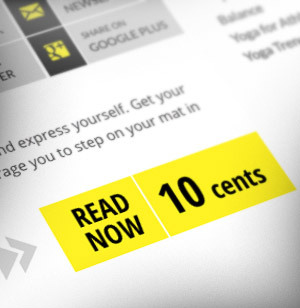 Forcing people to consume your content in a specific way, is like sending an email that can only be read in Lotus Notes. Note: I didn't mean to rant on GigaOm Pro. It is one of the best sites out there. They just need to tear down their paywall, and build a paygate instead. Sharing paid-for content, and making your content available on every channel, is a huge challenge for most publishers. 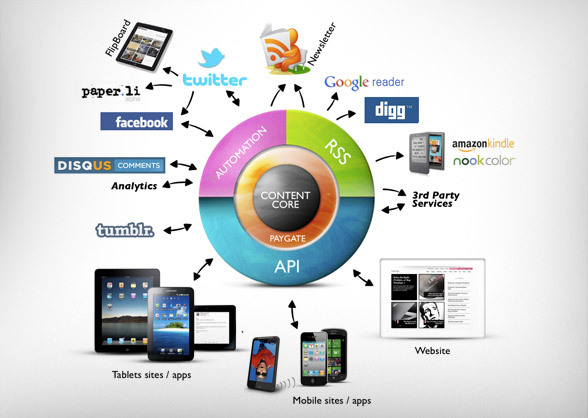 Most publishing systems are designed for a specific output. Your CMS is designed to create a website, Wordpress is designed to create a blog, and many traditional publishing systems are designed for print - and doesn't allow 3rd party access. This is a limitation that you cannot afford to have in the digital world. If you want to create a paygate, you also need to make sure you have the right foundation. You need to have a system that allows you to be on every channel, without having to dedicate people to do all the work. You need to separate your content, from your destinations - especially since many destinations are beyond your control. 1: The world is in a constant state of flux. Right now, the iPad is all the rage, but the Android tablet boom is just a few moths away. In another 8 months, something else will come along. The iPad isn't going away anytime soon, but you are not in the business of selling iPads; you are in the business of selling valuable content. 2: The average person consumes content on more than two devices, via a varying number of channels and services. In the traditional world, focusing on a specific channel meant you would reach all the people on that channel. But in the digital world, focusing on a single channel means you are not even reaching a single person. Being on multiple channels isn't about reaching a bigger market. It is about serving the needs of the individual. Your publishing platform needs to support this. Create a content core that is only about the content, and the metadata surrounding it (analytics, reactions, connections, comments etc). Create a paygate around the content core, to create a single way to handle all transactions and subscriptions - regardless of where it is being used. Around that you create your API to connect with all the channels you need to be on. The content core allows you to focus your resources on what you do best - creating valuable content that people want to pay for. Change is no longer a problem. You don't have to change your foundation every time you have to embrace a new channel. You open yourself up to the new world, and allow you to experiment with new channels without turning them into huge and expensive projects. It is the same with the paygate. Because the paygate itself is part of the core, when people subscribe to one channel, they automatically get access to the same content on every other channel. Don't create subscriptions for a specific channel. Don't base your business model on just one device. Focus on connecting the core. While sharing is what fuels the internet, and is an essential part of any paygate, the other essential part is the product. A successful paygate requires valuable content that people are willing to pay for. 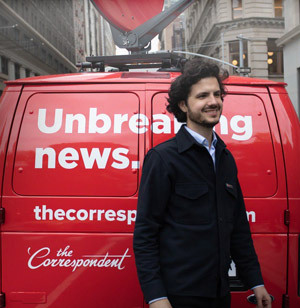 In a non-connected world, there is a huge market for being the bringer of news. This has been the backbone of pretty much every single newspaper for the last 300 years. Bring news to the people. In a connected world, however, we have an abundance of news, from every part of the world - all of it only one click away. Being the bringer of news is no longer a viable business model. The new bringers of news are the news aggregators. Not Google News (which is irrelevant), but all the social niche aggregators out there. Services like Flipboard, SmartBrief, MediaGazer, and other news sites finding and linking to the best articles - like Silicon Alley Insider's "Ten things you need to know this morning." If you want to charge for content, you need to be a creator. Divide your content up into two categories, interesting and valuable. Interesting content is all the stories that your audience like to know about, but isn't valuable to the individual. Interesting content is what drives the traffic to your site, it is what get people to come back, and it is the content that provides you with a continual presence in peoples streams. But, interesting content is generally not going to convert people into subscribers. Interesting content can only be driven by advertising, or similar monetization options. The only way to monetize interesting content directly, is if you are the best source of that kind of news within your niche. You use interesting content to market your valuable content. It's the freemium model. The interesting content is what you give away for free, to convince people to buy the "pro" package of valuable content. This ties into the economics of the internet, where the link is what drives the growth. The final element of a successful paygate is finding the right price. This is hard because traditional media has destroyed the market. They failed to change and anticipate people's needs, causing the perceived value to drop to an all time low. They treated digital publishing as an "optional extra" giving everything away for free, and further degraded the value of content. 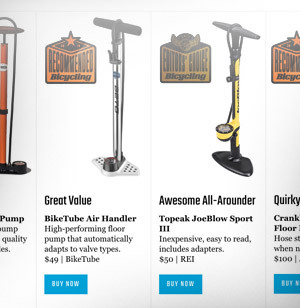 They focused on competing on price, instead of competing on quality and providing value. Just look at all the newspapers that are now including low quality content from Demand Media. As a result, a monthly copy of Wired for iPad is $4.79, A copy of Vogue Magazine for the iPad is $3.99, and a week worth of Wall Street journal is only $1.99. Or to put it another way, a week worth of Wall Street Journal is only worth half a cup of frappuccino at Starbucks. It is just ridicules. Then we have the app economy, where each app or song costs $0.99. Charging a good and reasonable price, in this kind of environment, is almost impossible. You have to be really special and focus on creating truly high value, to get people to pay up. Just selling packages of random news won't cut it. Each article has to create value on its own. For Baekdal Plus I came to the conclusion that the best price for valuable content would be: $18 per article, $14 for a monthly subscription, and $139 per year. That price is several times too low compared to the actual value. But, the feedback I'm getting is that people don't want to pay more as long as it is just articles. To charge more, I would also have to create more comprehensive content, like reports, surveys, or ebooks. Obviously, the price point varies from one publication to another. And I hope that in time, as print disappears and focus on value increases, we can increase that price point to a more reasonable level. The world is definitely moving in the right direction, but the next couple of years will be ...tricky. Allow people to take the content with them, and use it with 3rd party services. Separate your content and paygate from your destinations. Build upon an API to be able to embrace change. Think whatever, wherever, and whenever. Do not focus on creating destinations. Be a creator, not a bringer. Create interesting content to drive traffic and growth. Create valuable content to make money.